Well, being half Jewish I celebrate Christmakkuh myself but there is still something magical about the holidays! 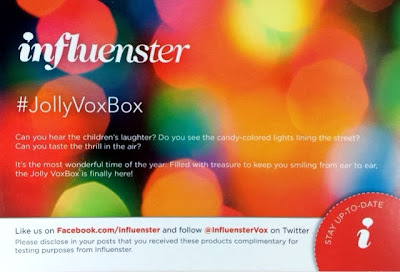 Making my holiday season even brighter is my Influenster Jolly Vox Box. I received this box from Influenser for testing purposes. 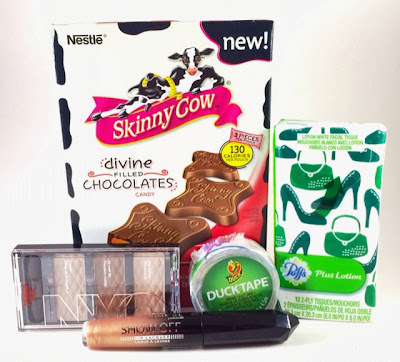 This seasons box included Skinny Cow Divine Filled Chocolates, Puffs Ultra Soft and Strong to Go Tissue Pack in Plus Lotion, a Duck Tape Ducklings Mini Roll, New York Color HD Color Trio Eye Shadow and Rimmel London's New Show Off Lip Lacquer. I had so much fun unpacking this box...because it unpacked itself via Vine! You can find and follow me there @DullLikeGlitter. "TA DA! Presenting almost too good to be true Skinny Cow Candy! Unbelievably chocolaty. Melt-in-your-mouth madness. Perfectly yummy portions. 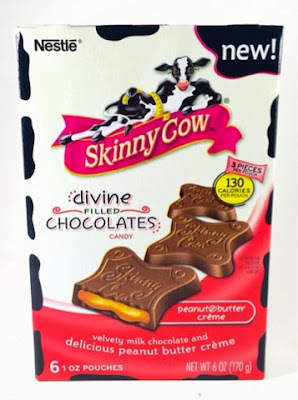 Skinny Cow's line of candy weighs in at 110 to 130 calories. 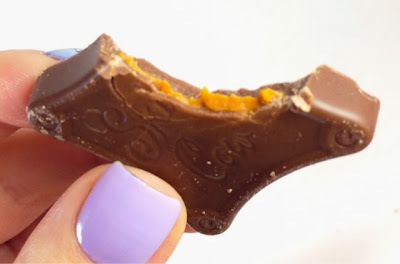 So if you've been avoiding the candy aisle, welcome back. You're gonna feel like a kid in a candy store." I can't really keep my hands....well teeth off of sugar, ever. Chocolate and peanut butter are one of my favorite combinations. Each box contains six pouches that are about the size of a full size candy bar. Upon opening they contain three chocolate goodies inside. These chocolates are absolutely delicious. I don't know what they put in this stuff but, I couldn't tell it was reduced calorie at all. To put this into perspective a regular sized Hershey's bar is 210 calories. These three candies equaling about the same size are only 130! Have your cake and eat it too. "Puffs Ultra Soft & Strong To Go is still our best non-lotion facial tissue to use in the car, for on-the-go, wherever you go!" These little tissue packs are always great to have in the winter. When I walk to work in NYC I always get runny nose and end up wipping at myself, this will help me not rub all my makeup off. Even if it isn't I find it helpful to carry them with me in case I have a smear of eyeliner that has wandered out of place. 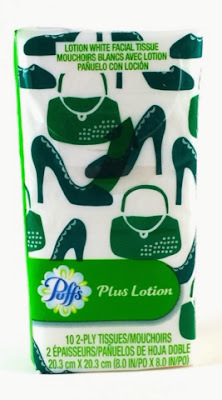 Puffs Plus Lotion are super smooth and gentle as well! "Excellent for repair, crafting and imaginative projects. High performance strength and adhesion characteristics. Tears easily by hand without curling and conforms to uneven surfaces. 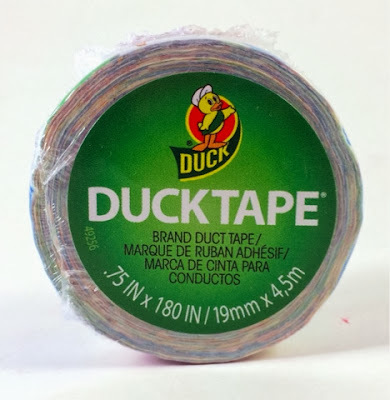 Ducklings are perfect for small repairs, trimming out projects or for when you just need a little tape!" These little mini tape rolls are adorable. I seem to have an infatuation with things that are smaller than normal; puppies, mini chocolate chips and those little one egg frying pans found at the super market. The design on my Duckling is splatter paint. I can't wait to get crafty with this. 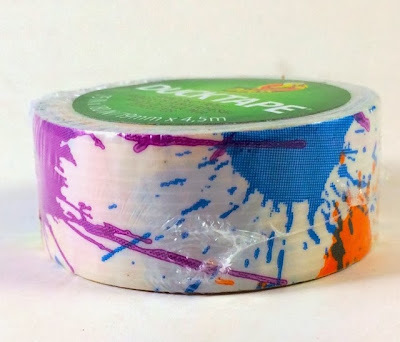 Over the summer while I was an art instructor at a local camp I worked at I ran a whole week long lesson on duct tape crafts! We made wallets, flower pens, bows and bracelets. Any suggestions as to what I should turn this into? "It's the end of colour as you know it! The intense rich colour of a lipstick combined with an invincibly smooth lacquer shine. Available in 14 shades." I received Rimmel Londons Show Off Lip Lacquer in Stargazer, a frosty gold. I don't know why I've been getting so many gold lip products lately but gold is not my shade. I'm too pale for it. However, Stargazer can be applied thinly over more pale-friendly rosy shades for a pop of holiday cheer. Side note, check out how cool the top is on these! It looks like a crystal or those new Starbucks tumbler tops with the faceted tops. 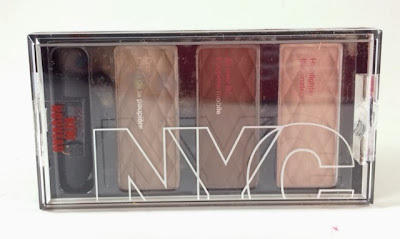 "HD Color Trio Eye Shadow delivers high intensity color with a silky soft texture. This lightweight formula blends effortlessly for the ultimate smoky eye look." NYC is one of my favorite affordable brands. You can find it everywhere, it won't put a dent in your wallet and the products are pretty good! 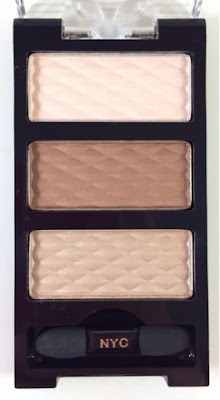 First of all I absolutely love the quilted pattern on this palette. I love quilted! You can find my 3D Quilted Nail Tutorial here. Also super cute, the teeny tiny eyeshadow sponge included with the little NYC stamp on it! ...I told you I love tiny! 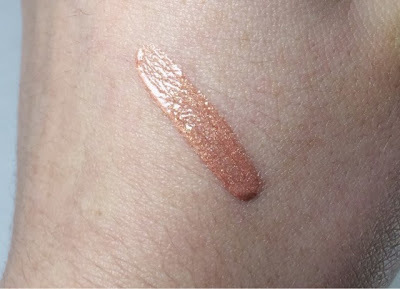 I was surprised by how great the pigment was on these shadow and how smoothly they applied! 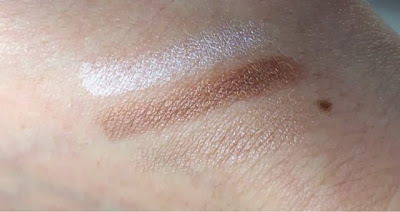 The crease color matched my skin tone so it's a little hard to see but all three shades have a bright shimmer. Overall I was quite happy with this box! I will be using the eyeshadow, lip lacquer as a topper, tape for crafts and eating all the Skinny Cow chocolates. The Puffs will probably sit in my bag for awhile until I need them but, it is always useful to have when needed. Thanks for the stellar box Influentser! I love your unboxing video, I can't believe you did all that in six seconds! It was fun! I was surprised I could fit that much into. You never realize how many frames can go buy in just one second. Thanks for entering the giveaway!